*PURE EPSOM SALT BASE* Epsom Salt (Magnesium Sulfate) is one of the very best natural salts to use in your bath. With many healing properties, Epsom Salt can help detoxify your body and rejuvenate your well-being. 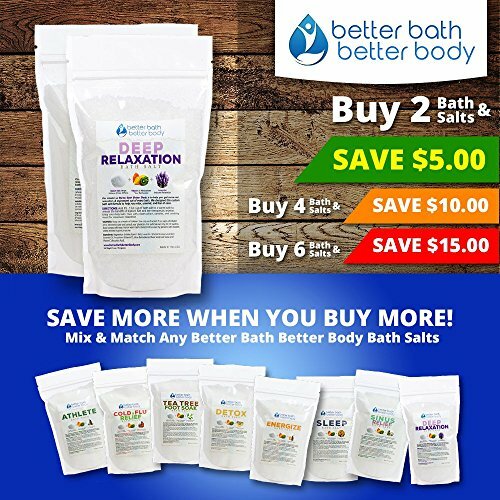 While other bath salts include impurities from many different salt sources, our Bath Salts include only 100% pure Epsom Salt to help you enjoy the best bath possible. *NATURAL LAVENDER ESSENTIAL OILS* We use only high-quality Lavender Essential Oil in this Deep Relaxation bath salt blend. You'll love the deeply relaxing effects of Lavender aromatherapy throughout your entire bath. The aroma remains stable throughout your entire bath and remains consistent but balanced without overwhelming your senses. Transform your bath ritual into a therapeutic experience with the relaxing aromatics of Lavender. *NEUTRALIZING VITAMIN C CRYSTALS* We've also included Vitamin C crystals to help neutralize the chlorine & ammonia impurities in your bathwater. 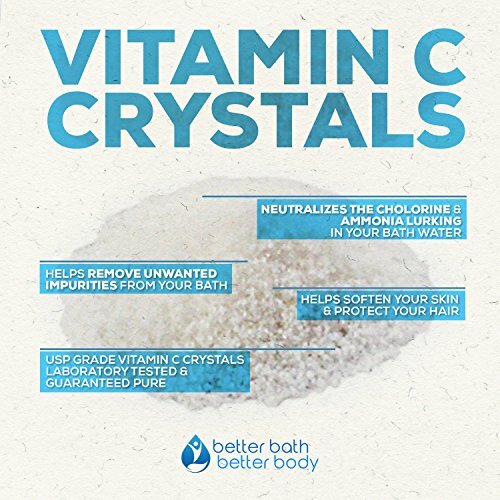 These Vitamin C crystals instantly grab onto the chloramine lurking in your bathwater so your body can enjoy more of the therapeutic benefits of the Epsom Salt and Essential Oils. This "secret ingredient" is what helps make our Better Bath Better Body bath salt products so good for you. 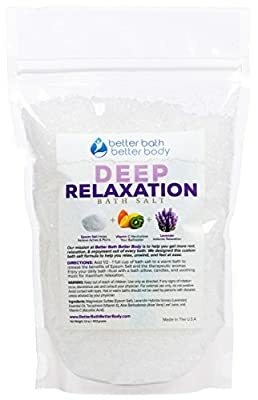 *NO CHEMICALS, NO PERFUMES, & NO DYES* This Deep Relaxation Bath Salt formula is 100% natural and includes zero chemicals, perfumes, or dyes. The next time you purchase Bathing Salts for your tub or spa, be sure to double-check the ingredients. Unfortunately, many bath salts often include added chemicals, fragrances, perfumes, and dyes. These unnecessary ingredients are bad for your body and your bath-tub.